There are many building contracting companies out there and it’s becoming increasingly difficult to find one who arrives at the time you have agreed and complete the job to your satisfaction. We take pride in the fact that “this is business as usual” and we’re here to give you peace of mind. Rafter Loft Conversions are specialists in all types of conversions and offer premium quality loft conversions from only £17,999.00. We continually strive to be a great company and are committed to providing high-quality services to all our customers. Although loft conversions usually don’t require much external work and it could appear easy to carry one out by yourself, there are numerous elements involved that mean it would be better to call in a Little Hulton, Greater Manchester loft conversion company or specialists. First, there’s the structural element. Lofts have been built the way they have in order to keep the roof up and the house structurally sound, so messing around with its layout and setup without knowing what you’re doing could prove disastrous. Bungalow loft conversions are often popular as they double the amount of floor space in your home, but they are sometimes not built to have a second load-bearing floor inside and the structure could become unsafe if you don’t do it properly. There’s also insulation to consider – roofs are very different from internal walls and the way they are insulated will be different too. How you get up to your new floor will also take careful planning; unless you are happy to use a ladder for years to come, you’ll need loft stairs installed which is no mean feat. And then not to mention the installation of skylights or the bigger project of installing dormer windows. Once you’ve looked at various loft conversion plans and ideas, and you think it may be possible to carry one out in your home, look for loft conversion companies in Little Hulton, Greater Manchester that can advise you on prices and how they would carry out the conversion. Larger structural changes are made in hip to gable loft conversions and mansard loft conversions. Hip to gable involves changing the side sloping roof to a straight wall, extending up from the side wall of the floors below and creating only two sides to the roof itself, front and back, in what’s called a gable roof. 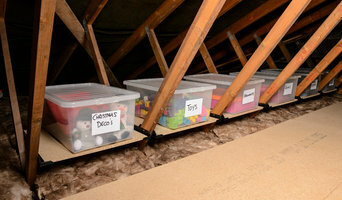 This adds extra room at either end of your loft if in a detached house, or to one house if semi-detached. Hip to gable conversions are not possible in terraced houses unless you are at the end of the terrace. Mansard loft conversions involve changing either the front, back or both sides of the roof to an almost vertical wall with a flat top. The top and wall usually slope slightly so as to allow rain to run off the roof still. Creating a mansard roof will dramatically increase space inside your loft and can be carried out on terraced houses, but it is a much bigger and costlier change. Hip to gable and mansard conversions are much more likely to require planning permission, so check with your local authority, or possibly with local loft conversion companies in Little Hulton, Greater Manchester who would know, if you’re planning on one. There are also roof lift conversions that involve raising the whole roof in order to give more headroom inside your loft; quite a major project but there will be specialist loft conversion companies in Little Hulton, Greater Manchester that can carry this out for you if required. 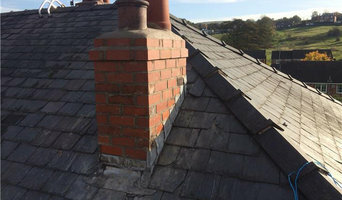 Once you’ve looked at the Little Hulton, Greater Manchester loft conversion specialists near you, consider the other professionals that you may need to hire to finish your attic to a high standard. Here are some related professionals and vendors to complement the work of loft conversion specialists: . 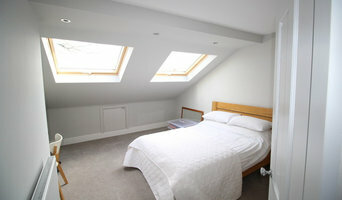 Find loft conversion specialists on Houzz. 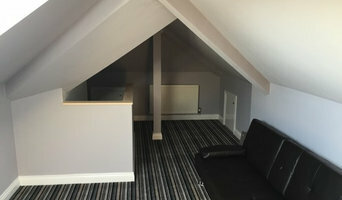 Narrow your search for a Little Hulton, Greater Manchester loft conversion company by entering your nearest city or postcode. Look at photos and read reviews to find the best loft conversion companies in Little Hulton, Greater Manchester for your home.